Retro+Fit Design LLC is a full service residential design firm. We specialize in new custom home design in varying styles and price points. Retro+Fit Design LLC also offers stock home plans and renovation and additions to existing homes. We pride ourselves on the ease of working with us and our quality design aesthetic. We have been serving the Western North Carolina area with fine residential design since 2005. Brickstack Architects is a North Carolina based progressive architectural practice, specializing in modern, highly crafted and environmentally responsive residential and commercial projects. ACM Design is a boutique, collaborative design firm based in Asheville, NC that specializes in custom residential architecture and interior design. By integrating the disciplines of architecture, interior design and outdoor living design, we focus on creating an overall vision of home that reflects the individual personalities and priorities of our clients. We have had the privilege of working with clients from all over the country who have chosen to make a home here in the beautiful mountains of Western North Carolina. Over the years, our client base has expanded to serve families in other areas of North Carolina, upstate South Carolina and East Tennessee, all from our south Asheville studio. For any successful project, collaboration is the key. Our studio is comprised of a small team of talented individuals, each bringing a particular expertise and knowledge to every home project. Simply put, our goal is to create well-designed homes that are comfortable and beautiful spaces in which to live –homes balanced with quality, longevity and environmental sensitivity. At ACM Design, we are committed to excellence in design, quality, integrity, service and the ideal of creating home. Established in 1982, Camens Architectural Group specializes in luxury custom home design & construction administration. We work closely with our clients to deliver a home that is unequaled in style. Our approach is based firmly on our intrinsic nature to listen and observe. From this foundation, we pursue inspiring and purposeful works of architecture through the refinement of ideas which respond to the specific factors of each endeavor. We undertake each project with passion and rigor in delivering graceful solutions that merge functionality and aesthetic beauty. Carlton Edwards is an assemblage of talented professionals of complementary skills and great ambition. In looking to the future we see a built environment shaped by our keen understanding of the past with a vision toward creating innovative, fresh and timeless forms. In cultivating an ideology of impeccable craftsmanship, great attention to detail and sound environmental principles, we ensure a legacy of quality to be enjoyed for generations. Custom Plan Services in Asheville NC is a total house design and drafting service company. Custom Plan Services will draw your plans in as much or as little detail as you require. Rusafova-Markulis Architects design aesthetic is modern, site sensitive and environmentally conscious. Our aspiration is to do the highest quality work by focusing intensely on selected creative projects of all scales. We work closely with our clients to guide them through all phases of the design and construction process. With each project we strive to achieve innovative and unique solutions that give a positive sense of accomplishment to the entire project team of Owner, Architect and General Contractor. Enjoy the experience of a custom designed rustic or timber frame home by America's favorite rustic home designer. Since 1983 our process of designing homes has been "with" you, rather than "for" you. Samsel Architects has produced award-winning design in Asheville and the Western North Carolina region since 1985. We specialize in custom residential architecture, inns, galleries, retail, medical and educational facilities. Our firm provides a broad scope of architectural services including new construction, home renovation, interior design consultation and historic preservation. LEED – Accredited Professionals in our firm strive to incorporate environmentally sustainable design and green building principles throughout our work. Give us a call today and let us help you get started! We have over 30 years of experience totaling more than $500 million in the development of single and multi-family residential, resort, commercial, medical, institutional and spiritual architecture. Brickstack Architects is a full service, progressive architectural practice, specializing in modern, highly crafted and environmentally responsive design. Brickstack Architects is a practice founded on the core principles of personalized customer service, design excellence and environmental stewardship. Above all, we take our role as dedicated listener and observer very seriously. Our clients are our greatest asset and their satisfaction will not be compromised. Each project undertaken by Brickstack Architects, regardless of budget, scope or complexity, is given equal stature and will be held to the high standards of our core principles. Brickstack Architects offers a number of design services that can be tailored to meet the specific and unique demands of each project. Scott Huebner began his career in the Pacific NW where he fostered his love of the outdoors, a reverence for the environment, the expression of craft in construction and a modern aesthetic that is informed by the use of robust, self finishing materials such as wood, glass, stone and steel. Scott Huebner, AIA is a member of the American Institute of Architects and a registered Architect in North Carolina and Pennsylvania. Scott received his Master of Architecture and Bachelor of Architecture from Virginia Tech in Blacksburg, VA and Virginia Tech’s urban campus, Washington Alexandria Architecture Consortium in Alexandria, VA. In addition to his ambitious architectural pursuits, he is a full time husband and father. The focus of our firm is working with custom clients on custom residential, renovation & additions, small commercial and Tiny Homes serving to meet the needs of a growing city. Since its creation nearly two decades ago in Greenville, SC, Design Elite has been offering custom residential architectural design services including over 100 projects. 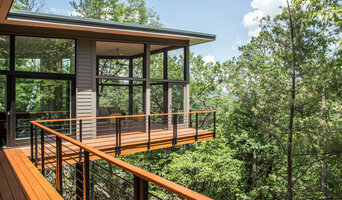 Andrew A. Willett, Architect, PA is located in the beautiful Asheville, North Carolina. We specialize in custom residential work: from large estate planning, to mid size homes, to renovation work; we adapt to each project and the clients needs. Our goal is to bring elegant solutions that capture each client’s unique aesthetic. We pride ourselves in listening to our clients to insure their dreams, not ours are reached. Please peruse our website, and let us know if we can help in being a part of your next dream. We are in the dreams come true business! Fine custom residential design and enlightened remodels of single family homes. Designing to combine a client's requirements with a property's assets. The true artistry in architecture and interiors is having the ability to listen to our clients. The next piece is what we do with that insight. That is where we set ourselves apart. A home represents you and it isn't simply the exterior. There should be a connection between the riverbed stone columns and the gabled cedar trusses. There should be a connection between expansive mountain views and the vintage saddle leather sofa. These are the details that we consider every moment of our process, whether it is a new mountain-top home or we are revitalizing and renovating an interior that is long overdue. Your home, the exterior and interior spaces in which you live, entertain, and live your life are most important to us. We specialize in custom residential architecture, hospitality, retail & education facilities. Artistic vision, sustainable design & attention to detail have been the foundation of our firm since 1985. We at Platt Architecture are focused on helping our clients achieve exceptional design quality and sustainability at a predictable cost on a predictable schedule. Our expertise is complete and custom architecture. Our goal is to design distinctive spaces that enable our clients to create places of deepest satisfaction. We do this by providing services which are personal and responsive to place, time, quality, and cost. For more than 30 years it has been our privilege to share in the experiences of many, many individuals, families, and business owners whose lives are carried out in the places we have made together. Legerton Architecture specializes in the design of individual residences (new homes, renovations and additions). Our goal: to provide architectural services that contributes to the quality of life. Scott W Bartholomew Architecture is a small firm based in Asheville, NC, which specializes in Residential and Commercial, Green-Sustainable Architecture. Our main focus is the to fulfill the client’s needs and we provide full and partial Architectural Services to that end. Specific Style requirements are well within our abilities; we feel comfortable designing within any chosen style. We feel the environment is something to cherished and protected. As a result, our designs both relate directly to the surroundings and provide for a green, sustainable product to help save the future for our children. The true artistry in architecture and interiors is having the ability to listen to our clients. The next piece is what we do with that insight. That is where we set ourselves apart. cJem Designs provides Western North Carolina homeowners, builders, and developers with space-efficient designs for home transformations, custom homes, and boutique developments. If you're looking to create the space you've always wanted to live in, reach out to me and I'd be happy to provide you with a free design consultation. We are DESIGN BUILD ARCHITECTS who, with our in-house construction firm, take projects from beginning to end. We are a single source from planning and design through completed construction. 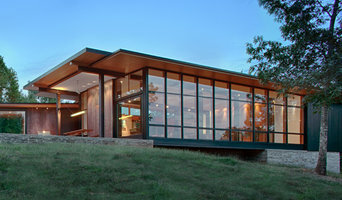 Griffin Architects, P.A. has grown from a private practice founded in 1979 to a full service architectural firm. With a permanent staff of three registered architects and Three intern architects, a team environment provides a unique diversity in service. We are experienced in single and multifamily custom residential designs, as well as commercial developments, environmental design , community planning, and historic preservation. Griffin Architects continues to be recognized locally and regionally for design and preservation excellence. Griffin Architects appreciates the opportunity to work with clients on a personal level and feels that it is the client´s input that makes a project successful. Clients´ desires and needs are foremost in our unique design process. Every building should enhance the well being of its occupants, achieve economy through conservation, and honor the natural resources inherent in every site. Our approach is based firmly on our intrinsic nature to listen & observe. From this foundation we pursue inspiring and purposeful works of architecture. Hurt Architecture & Planning is a small, full service architectural firm specializing in custom residential design, as well as the design of secure homes. As reflected by our project photos below, we design both new homes and renovation / addition projects in a variety of architectural styles. We endeavor to serve our clients with skill and sensitivity. Our emphasis is on total client satisfaction through professional excellence, and we do everything in our power to ensure that this objective is achieved. How do I find the best Swannanoa architect for my home design project? It is best to hire a home architect who will be involved in all phases of the design process, from the initial concept to the completed construction. The architect is often the first person you will hire for your project. If necessary, they might also help you select and hire North Carolina subcontractors, which can include the builders, engineers and landscaper. Interior architects are also involved in negotiating contracts for all involved participants. It is for these reasons that it is extremely important for you to have a good relationship with the Swannanoa residential architect you hire. He or she can be the tie-breaking vote between you and the general contractor and can be your biggest advocate during the construction process. Different architecture firms in Swannanoa, NC provide different services, so the scope of the work can span from pre-design environmental impact studies to selecting furniture and finishes, depending on what your specific needs are. It is very important to hire the right professional for the job. Remember that the most well-known or established designer might not provide the best architectural services for your needs. It all comes down to the individual project. Research and ask people whose work you like for recommendations. It's important to have somewhat of an idea of the style of house architecture that you prefer, as well as the amount you would like to spend. Residential architects in Swannanoa, NC are natural problem solvers. They will assess the entire situation and help you to solve your problems too. Don't settle for a single company too early. Call and interview a few. Make sure that you feel like your personalities will mesh well and that you like their professional perspective. 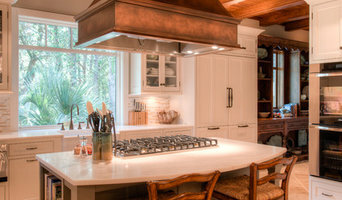 Find a home architect in Swannanoa, NC on Houzz. Narrow your search in the Professionals section of the website to Swannanoa architects. You may also look through photos of North Carolina projects to find interior architects and building designers who have worked on a project similar to yours.